Now it might destroy her. 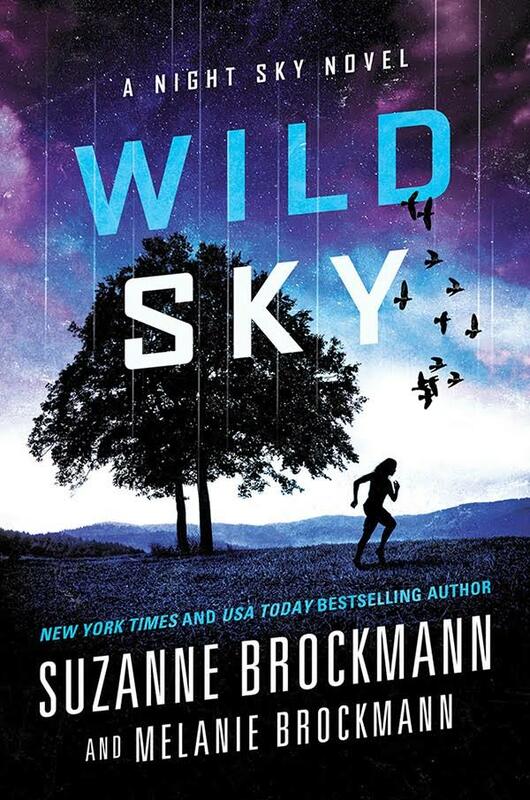 Wild Sky is the second book in a YA trilogy set in the same dark future as Suzanne Brockmann’s Born to Darkness, a New York Times bestselling hardcover, the first installment in her Fighting Destiny series. Wild Sky has the same mix of suspense, romance, humor, and the paranormal, and deals with many of the same themes, including society’s relentless exploitation and devaluation of females, and the empowerment that comes when women and girls recognize their strength and intellect, and stand up, fight back, and save the day. 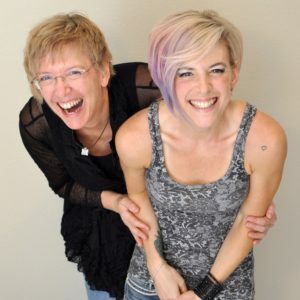 Meet the authors: The mother/daughter writing team of Suz and Melanie Brockmann! Suzanne Brockmann and her daughter, Melanie Brockmann have been creative partners, on and off, for many years. Their first project was an impromptu musical duet, when then-six-month-old Melanie surprised and delighted Suz by matching her pitch and singing back to her. (Babies aren’t supposed to be able to do that.) Since then, Mel has gone on to play clarinet and saxophone, to sing in a wedding band, and to run seven-minute miles. She has become one of Sarasota, Florida’s most sought-after personal trainers. Suz has driven an ice-cream truck, directed an a cappella singing group, and can jog a twelve-minute mile when pushed. 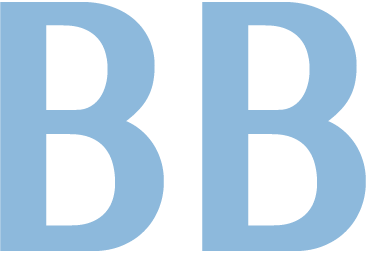 She is the multi-award-winning, New York Timesbestselling author of over fifty books. Night Sky is Melanie’s first novel and the mother-daughter team’s first literary collaboration. Each strongly suspects that the other is a Greater-Than.